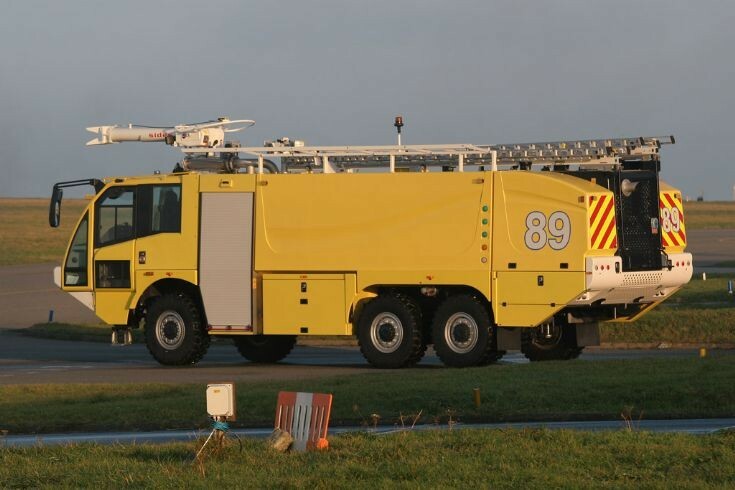 Fire 89 sides crash tender, a recent addition to the Guernsey Airport Fire and Rescue Service. Taken at Guernsey Airport on 31st December 2010. My husband had to come up to the Airport with my 8 year old grandson to discuss a job. The fireman who was there invited Harry (our Grandson) to look at the fire engines. He was so pleased and got to get into this one and go on the top. I didn't have my camera!! So hence I have printed this picture for him. Thanks to the fireman for taking the time to do this and explain the goings on. State of the art!! Added by Dorothy Paint on 07 September 2011.